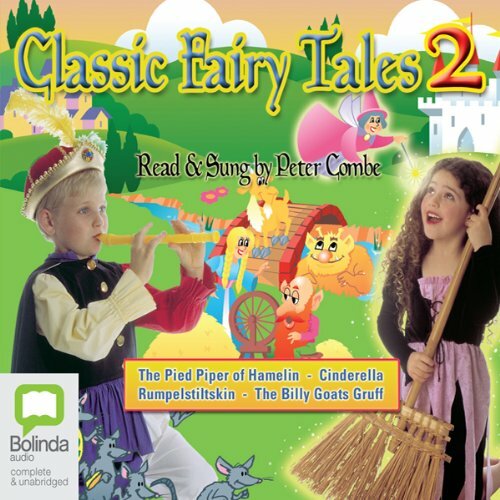 Showing results by narrator "Read/Sung by Peter Combe"
Here are four more of the most loved children's fairy tales of all time read and sung by one of Australia's best known children's entertainers, Peter Combe. The stories in this selection, "Cinderella", "The Billy Goats Gruff", "The Pied Piper of Hamelin", and "Rumpelstiltskin" are loved by children the world over. Each story is read in Peter's own inimitable style and includes a captivating and original song.